بسرير واحد بالحجم الملكي ولا يسمح فيها التدخين. يقع Denison Boutique Hotel في Rockhampton City Center, روكهامبتون, هو خيار شائع بين المسافرين. يمكن من هنا للضيوف الاستمتاع بسهولة الوصول إلى كل ما تقدمه هذه المدينة النابضة بالحياة. يشكل هذا الفندق ملاذاَ مريحاً للاسترخاء ويمنح زواره فرصة للاستجمام والتجدد، وهو يقع على بعد خطوات من المعالم السياحية الكثيرة للمدينة كمثل: ‪Nissan Navara Arena‬, YesterYears at Gnomes, متنزه تونوبا. يقدم Denison Boutique Hotel خدمات لا غبار عليها وكل أشكال اللياقة وحسن الضيافة اللازمة لإسعاد ضيوفه. يقدم الفندق واي فاي مجاني في جميع الغرف, مرافق مخصصة لذوي الاحتياجات الخاصة, تسجيل وصول/خروج سريع, تخزين الأمتعة, واي فاي في المناطق العامة لضمان الراحة القصوى لضيوفه. لقد جهزت هذه الإقامة الفندقية بعناية فائقة لتوفر مستوى عالي من الراحة. في بعض الغرف يجد النزيل تلفزيون بشاشة مسطحة, مرآة, حوض الاسترخاء, غرف لغير المدخنين, مكيف هواء. يقدم الفندق خدمات رائعة كمثل سبا, حديقة لمساعدتك على الاسترخاء بعد نهار طويل من النشاط والتجوال في المدينة. اكتشف مزيجاً ساحراً من الخدمة الاحترافية والخيارات الواسعة من وسائل الراحة والمتعة في Denison Boutique Hotel. The staff were extremely helpful and pleasant. The accommodation and the breakfast were great value. The hotel is conveniently located but the trains at night are very noisy. I would stay here again. Great breakfast on friday morning. Mushrooms and tomato were a treat, lovely. Every thing about this hotel is excellent. 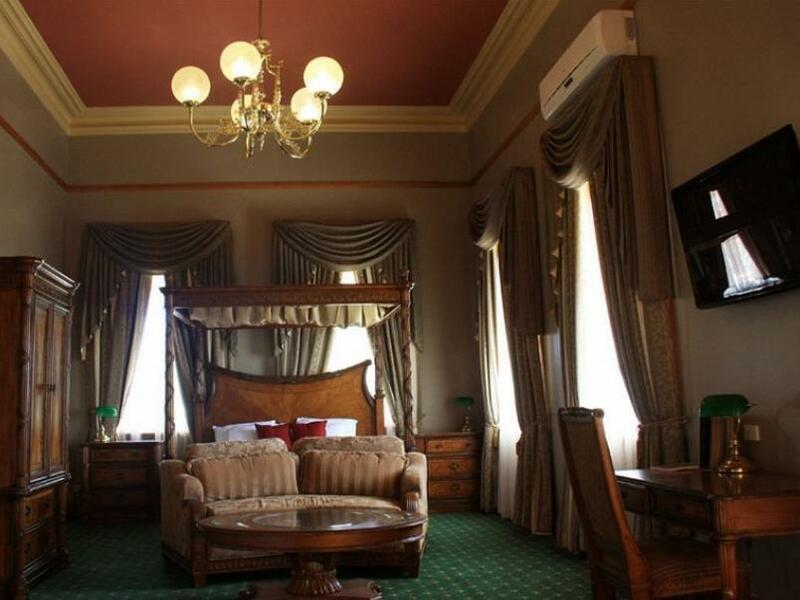 A beautiful period restoration makes for comfortable rooms unlike any where we have stayed before. Staff were extra helpful. Massive old style room with spa baths and room to move. It is a home away from home. Its awesome stay. Very instagram worthy background with its country style design. Comes with spa and breakfast was good too. Awesome stay. Loved my stay at this hotel. A real step back in time, with quality finishes and furniture. Breakfast was good too. And the friendly staff made my stay enjoyable. Would definitely stay there again. If you don't like the sound of trains this is not for you. The addition of breakfast in your tariff beats similar motels in the CBD. I stay here every three weeks for work and I don't know if I would choose here again. Having to join in round table conversations at communal breakfast with the grey nomad crowd whilst you have 15mins left to get to work is not really my scene. Cars were screaming around the corner and along the street and it was only a Monday night. I found the room had an old musty smell - I didn't mind the Victorian decor. The spa was wonderful. The homemade biscuits in the room were delicious. The bed and sheets sublime. Staff friendly. Cannot park my car and walk to work, but for value for money I may try and stay again. Large room with a very comfortable bed. Slightly bizarre to have the bath in the main room and not in a separate room like the toilet. Enjoyable stay and could easily have stayed a second night. Try to eat before 8pm in Rockhampton as it's very hard to find anywhere open apart from fast food shops after that. This is an exquisite little gem in Rocky. It is a lovely old building, very nicely appointed - canopy beds, spas etc. very different from average Rocky offerings. Delighted. It was a lovely change from the modern hotels we usually book. Our room was beautifully decorated and had everything we required. The breakfast room was charming and Sarah prepared us a wonderful breakfast. 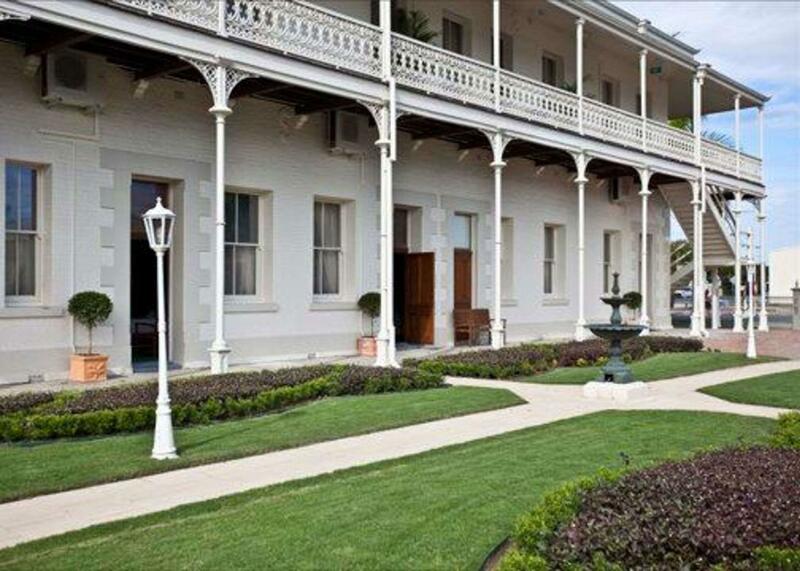 We look forward to staying at the Denison Boutique Hotel again. Loved our stay here. Fab Four poster bed and plush sofa. Building a renovated 1880s place. Breakfast room set out as a period piece. Good wifi. Excellent breakfast. A lovely place to stay. Do need to know that staff leave at 3pm on Sunday's so ensure check in before then. Fantastic old charm clean and spacious.